Living Area 1266 Sq. ft. 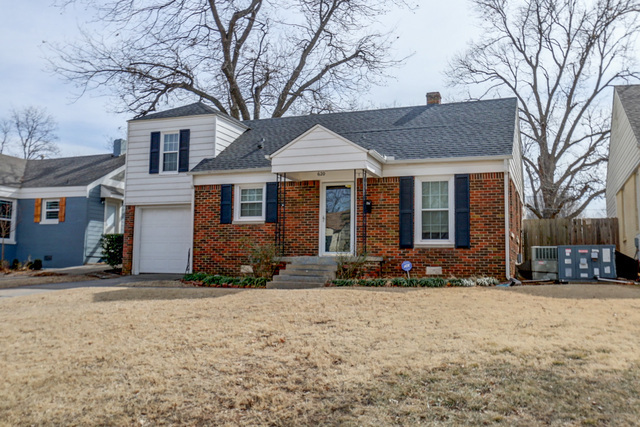 Check out this adorable updated home in Douglas Park. The neighborhood park is just a block away! You will love the refinished hardwood floors throughout the house. The kitchen includes updated appliances, new quartz counter top, new sink and faucet. The hall bathroom has been updated with a new vanity, new floor tile and toilet. There are two bedrooms on the main floor and a third bedroom over the garage. The inside laundry room is off the kitchen. Great patio in the back for entertaining. The backyard is very spacious with a storage building. Location is close to highway access, Western Ave district, Uptown and Midtown. This is one cute house! Come take a look!